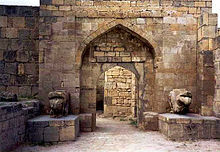 Such groups as the Botlikh, the Andi, the Akhvakhs, the Tsez and about ten other groups were reclassified as Avars between the 1926 and 1939 censuses. Makhachkala is the capital city of the Republic of Dagestan, Russia. It is located on the western shore of the Caspian Sea and is home to the Makhachkala Grand Mosque, one of Russia's largest. 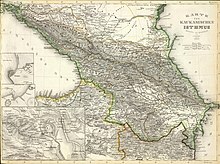 As of the 2010 Census, the city had a population of 572,076, making it the largest in the North Caucasus Federal District. 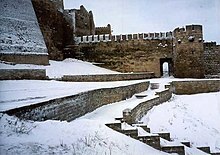 The city has an ethnic plurality, with the Avars and Kumyks being the largest groups. 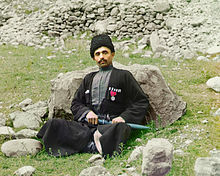 The Caucasian Imamate, also known as the Caucasus Imamate, was the state established by the imams in Dagestan and Chechnya during the early-to-mid 19th century in the Northern Caucasus, to fight against the Russian Empire during the Caucasian War, where Russia sought to conquer the Caucasus in order to secure communications with its new territories south of the mountains. Kaspiysk is a city in the Republic of Dagestan, Russia, located on the Caspian Sea, 18 kilometers (11 mi) southeast of Makhachkala. 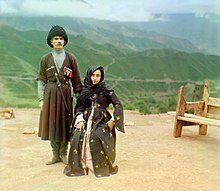 The 2010 Russian census recorded the city as being the fourth-largest in Dagestan. It is a working-class satellite-city to Makhachkala. 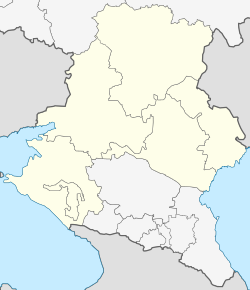 Khasavyurt is a city in the Republic of Dagestan, Russia. Population: 131,187 (2010 Census); 121,817 (2002 Census); 70,514 (1989 Census). 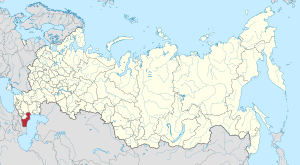 Vilayat Dagestan, formerly known as Shariat Jamaat, was an Islamist Jihadist group based in the Russian republic of Dagestan and is part of the Caucasus Emirate. 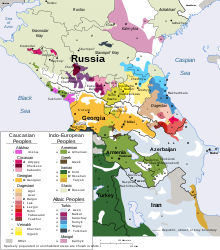 The group is closely associated with the separatist conflicts in the nearby Russian republics of Chechnya and Ingushetia, and was created during the Second Chechen War in favor of Dagestan's independence as an Islamic state. Magomed "The Propeller" Magomedov is a Russian former kickboxer fighting out of Chinuk Gyn from Minsk, Belarus. He was six time amateur Russian kickboxing champion and the professional WMC and IMF Light Heavyweight World Muay Thai Champion. Abdulrashid Bulachevich Sadulaev is a Russian freestyle wrestler of Avar descent. 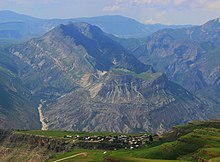 Kedy is a rural locality in Tsumadinsky District of the Republic of Dagestan, Russia, located in the mountains near the Chechen border. Magomed Idrisovich Ibragimov is a Russian-born naturalized Uzbekistani wrestler of Avar descent, who competes in the heavyweight freestyle division. He won bronze medals at the 2016 Olympics and 2018 Asian Games.